Distributed Systems: Design and Algorithms, is dedicated to engineers, students, and anyone familiar with algorithms and programming, who want to know more about distributed systems. These systems are characterized by: several components with one or more threads, possibly running on different processors; asynchronous communications with possible additional assumptions (reliability, order preserving, etc. ); local views for every component and no shared data between components. 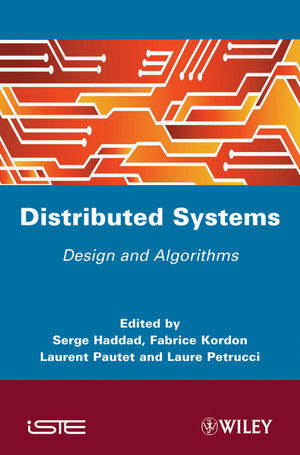 This title presents distributed systems from a point of view dedicated to their design and their main principles: the main algorithms are described and placed in their application context, i.e. consistency management and the way they are used in distributed file-systems. Fabrice Kordon is a full-time professor at Université P. & M. Curie (UPMC). Serge Haddad is a full-time professor at école Normale Supérieure de Cachan, a member of the CNRS laboratory LSV, and a member of the INRIA team MExICo. Laurent Pautet is a full-time professor at Télécom ParisTech and a member of the CNRS laboratory LTCI. Laure Petrucci is a full-time professor at University Paris 13 in France and a member of the CNRS laboratory LIPN.